Though completed just eight years after the death of Beethoven, the 20 piano pieces of Robert Schumann's Carnaval (1833-1835) occupy a musical realm which seems far removed from older master's world. Carnaval's subtitle, "Scènes mignonnes sur quatre notes," is a reference to the work's arcane, symbolic pitch structure. In 1834, Schumann was engaged to a young pianist by the name of Ernestine von Fricken, a student of his own teacher (and eventual father-in-law), Frederick Wieck. In a bit of orthographic serendipity, the composer realized that the name of his fiancée's hometown, Asch, could be translated into notes according to the German reckoning of pitch names: "A" became A natural, "S" (Es) E flat, "C" C natural, and "H" B natural. Furthermore, a reordering of the letters yielded S-C-H-A, which the young composer immediately recognized as symbolic of his own name (i.e. "SCHumAnn"). More than a striking set of character pieces and musical portraits, Carnaval also unfolds as a set of variations on this group of pitches; almost all of its sections incorporate a permutation of the A-S-C-H combination. 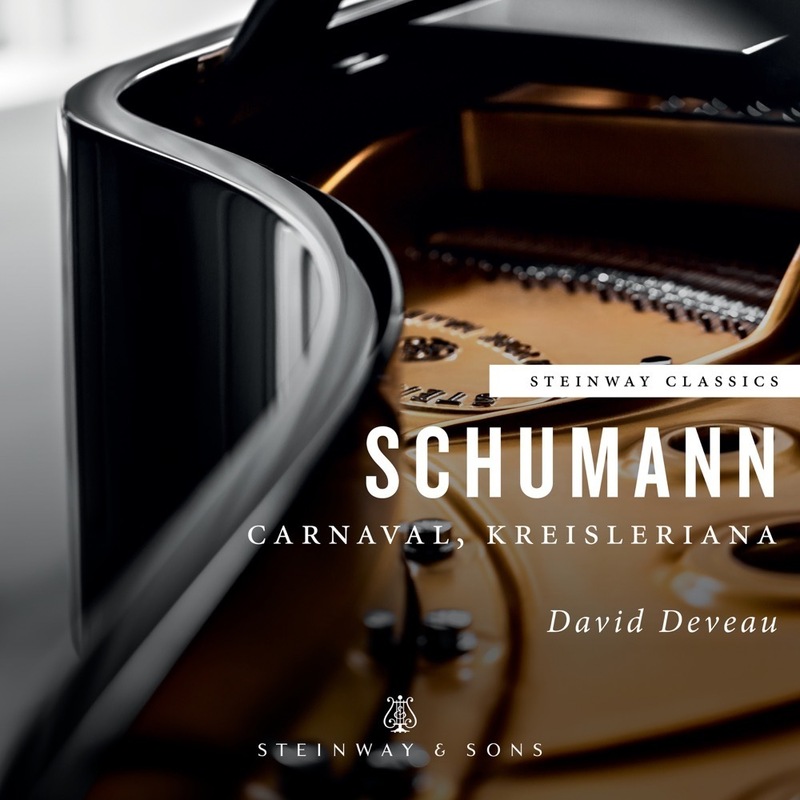 Carnaval showcases virtually all of the young Schumann's personal and musical characteristics in one form or another; a number of the pieces are musical portraits of the composer's friends and important contemporaries. The opening "Préambule," which contains music originally intended as part of a set of variations on Schubert's Trauerwalzer, Op. 9/2 (D. 365), is one of the few pieces in the set not explicitly organized around the A-S-C-H idea. Figures from the commedia dell' arte make appearances in "Pierrot," "Arlequin," and "Pantelon et Columbine." Schumann writes himself into the work in the guise of his two alter egos, the idealistic, dreamy Eusebius, and fiery man of action Florestan. Ernestine von Fricken is characterized in "Estrella," while Clara Wieck, Frederick Wieck's teenaged daughter, is portrayed passionato in "Chiarina." (It was eventually she, in fact, and not von Fricken, who became Schumann's wife.) Schumann includes a touching tribute to Chopin, as well as a virtuosic intermezzo whose subject is the legendary violinist Paganini. Midway through Carnaval there is a trio of four-note "Sphinxes" -- probably not meant for performance -- through which Schumann divulges the "secret" of the A-S-C-H pitch groupings using an archaic notation. The final section, "Marche des Davidsbündler contre les Philistins" (March of the Davidsbünd Members Against the Philistines), is a symbolic portrayal of the members of the Davidsbünd, an imaginary group Schumann called upon in his writings and music as a confederation against the reactionary, musically dry "Philistines" of his day. Here, the Davidsbündler -- Florestan, Eusebius, Estrella/Ernestine, Chiarina/Clara, Chopin, and Paganini -- rout the Philistines, represented by the "Grossvalterlied," an old German song. There is humor indeed in this "conflict" as the members of the Davidsbündler are cleverly disguised behind "carnaval" masks of great musical bravado.